The battle for the year end box office has began and a major player is "The Great Wall", an ambitious China-U.S co-production directed by Zhang Yimou. Zhang said his star-studded new blockbuster indicates that the movie landscape of the world has changed. Co-productions are opening new opportunities for industries both at home and abroad. Zhang Yimou has revealed his monster to the world, as his English-language debut "The Great Wall" premiered last Friday. The film centers on the mysterious origins of the Great Wall of China and what the wall’s original purpose was. Set in the Song dynasty, the film depicts a Chinese army battling a group of monsters to protect the Great Wall from destruction. The cast includes Chinese actor Andy Lau, "Game of Thrones" star Pedro Pascal and Matt Damon. The battle for the year end box office has began and a major player is "The Great Wall", an ambitious China-U.S co-production directed by Zhang Yimou. The film, co-produced by the China Film Company, LeVision Pictures, Legendary Pictures and Universal Pictures, reportedly cost US$150 million to make. Director Zhang Yimou said he studied how to make blockbusters and had no intention to defy Hollywood's production rules, which he said, had nurtured generations of audiences all around the world. But he still had to fight with the producers to save certain scenes which they deemed not important and not interesting to American audiences. "Hollywood blockbusters often like to add romantic scenes, but I've cut those scenes back and after negotiating with them, found it's more neccesary to focus on depicting the monster and the characters. When choosing a Chinese monster, we thought Taotie was the best choice. The greedy monster comes from China's ancient myth compilation, "The Classic of Mountains and Seas." It has appeared in bronzeware and numerous historical archives.The border pattern on the RMB bill is also inspired by this ancient image," he said. This time the monster lurking behind the Great Wall was designed by Weta Workshop, the company behind the award-winning "The Lord of the Rings." But for Zhang, working with professional teams from Hollywood also means making compromises sometimes. "When designing the fight costumes, I thought steel armour would be more suitable for the big screen. But the Hollywood team thought that leather armour was better, because it's rarely seen, so it's more unique. So you see it's usually what we take for granted that western audiences find the most eastern, the most interesting," he said. 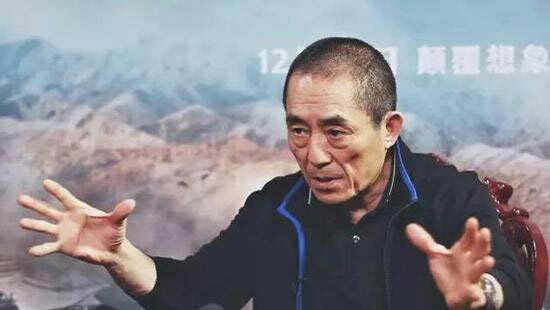 Zhang Yimou believes that he is now the only Chinese director who understands so deeply and so well how Hollywood works, after working on "The Great Wall" for the past three years. 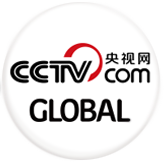 "To export Chinese culture, you have to follow their format. You have to be careful and entertaining. You should not be too academic, otherwise it will not be efficient and accepted by foreign audiences. You have to succeed in this. If the film fails, your mission to export culture will fail too," he said. "The Great Wall" will also be released in North America in February 2017.